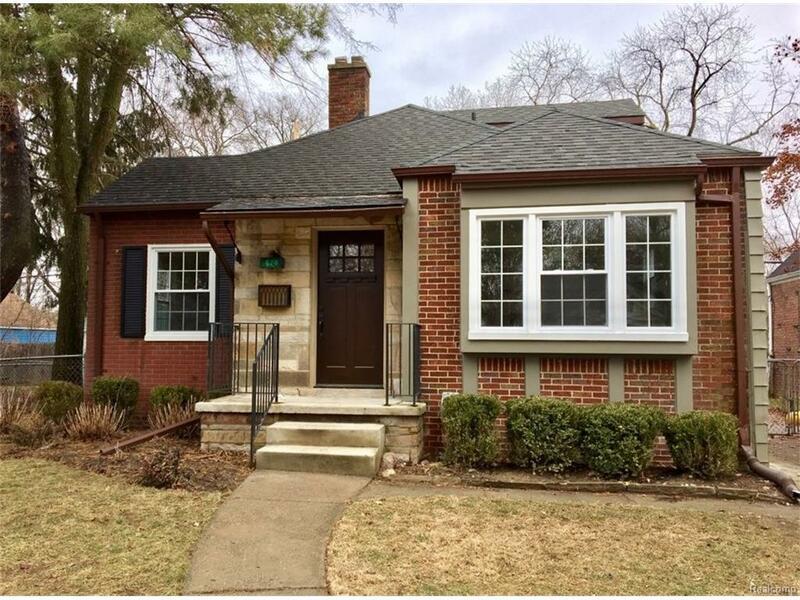 Beautifully renovated Tudor - Bungalow on a great pride of ownership street. Classic 1930's charm & character combined with modern amenities & finishes. Tiled vestibule entry. Gorgeous vintage oak floors refinished & stained. Lg LR w/ fireplace, bright DR, New kitchen w/ custom ceramic floor. White cabinets, granite counters, & open layout. Renovated main bath w/ custom sink & ceramic tile. 2 first floor bedrooms, one has doorwall to 3 season porch. Lg MBR has built in bookcases & WIC. 2 car garage w/ awesome party room behind that opens up to the beautiful 51x255' deep lot! If you want a great home that lives large & proud, then Make Home Here. Buyers agent must physically accompany all showings.